Picked up a few things during some "drive-bys" over the weekend. The first group was composed of a handful of items found at my favorite "antique-junk" places. I often manage to find an item or two super cheap - they also give me a discount so these three items were about $9 after tax. I probably shouldn't have bought the awl but I liked the way the handle felt in my palm (I have large hands). 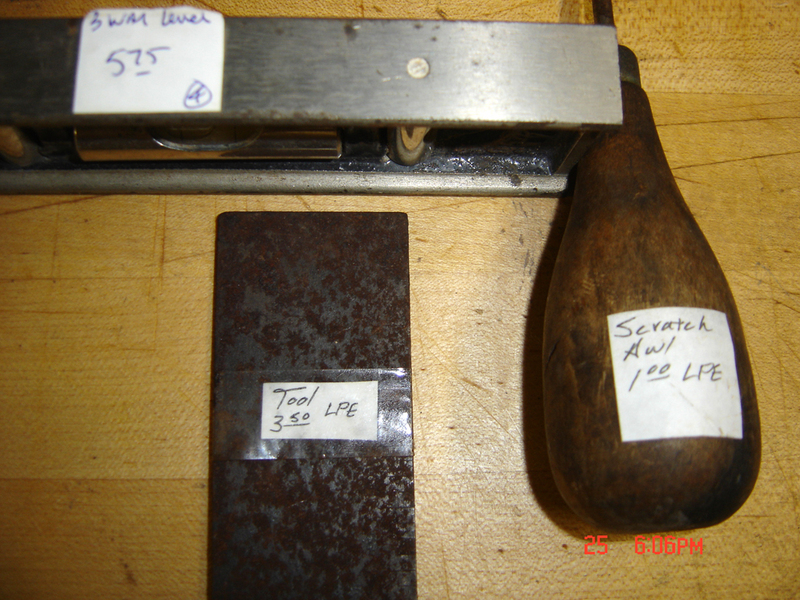 The Stanley bevel still has most of the decal on the rosewood handle and the surface rust on the blade should clean up fine. 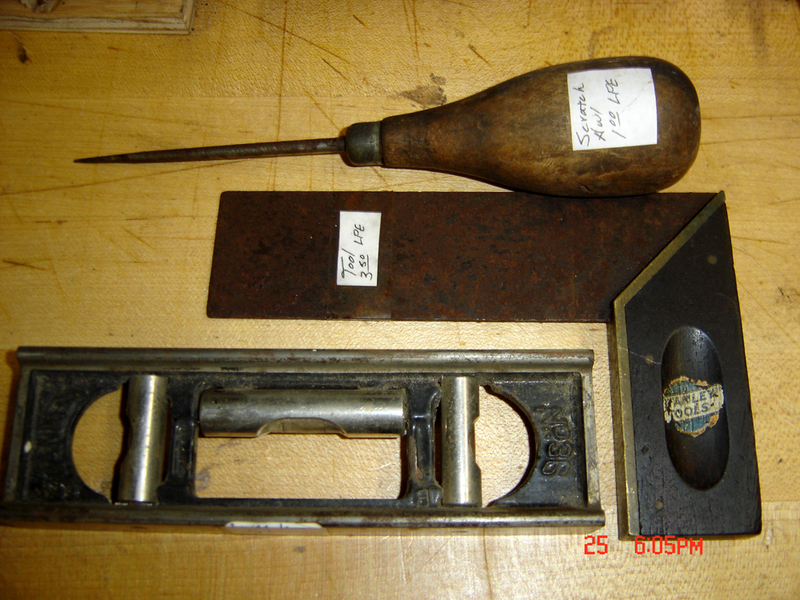 The Stanley #36 is the first of these smaller metal levels I've ever found in the wild - this one has two patent dates and I believe it's fairly scarce, and worth the $5 or so I paid for it. 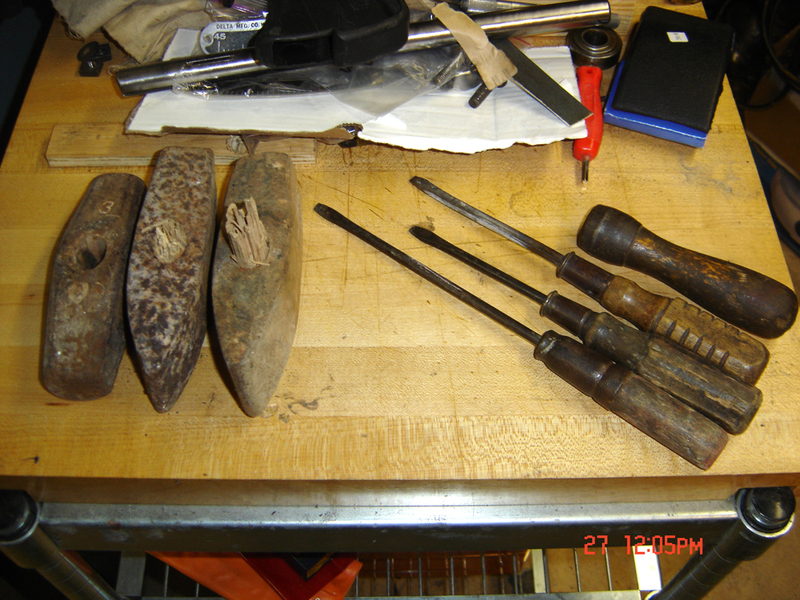 The second group was made up of the left-overs from an advertised estate sale that was full of hand-tools. By the time I got there most was picke-over and gone, which is alright by me (not that I need much more as I'm already at the point of being a "hoarder"). The good thing about bottom feeding a sale like this is that everything is usually discounted. In this case, 50% of the prices marked. I walked away from the sale for $5.50. 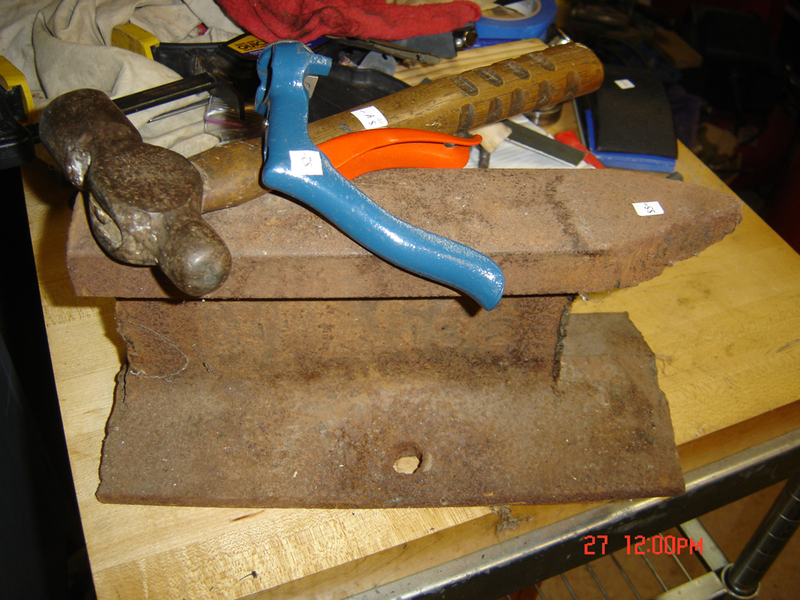 I've had good luck on anvils lately - this one is hoe-made using an over-sized piece of rail. I like the hardened-rolled steel and size of this one - my intent is to use it as a bench anvil after a little clean up - weight is about 40 pounds. 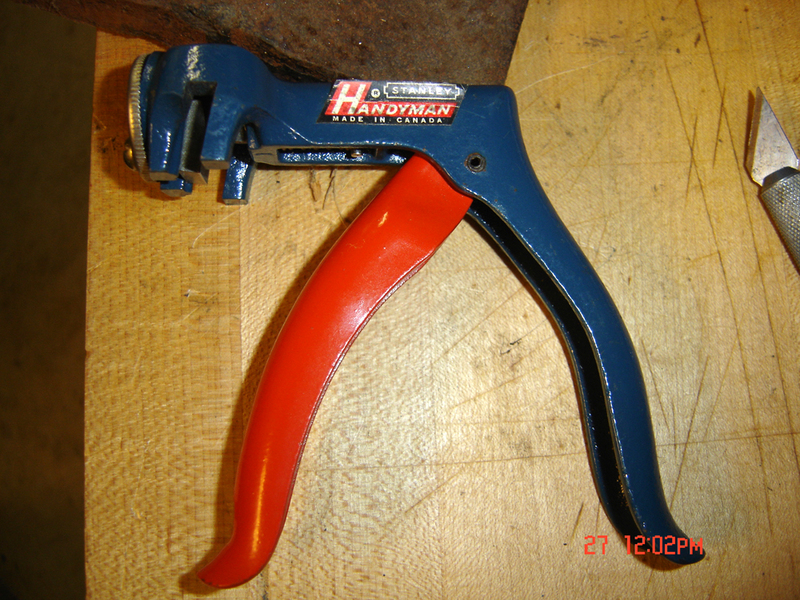 The Stanley Handyman 42 is in immaculate condition - it's a good size for those smaller saw teeth. 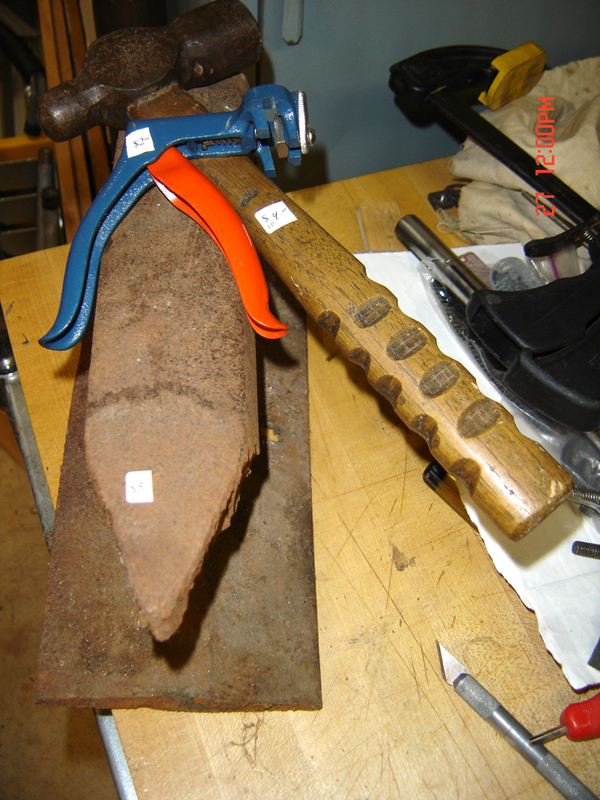 I just liked the ball peen hammer - rather over-sized head for the handle with modified grip (this one will be grouped with a big lot of tinner's hammers I have that also have carved handles). The last sale I hit was one of those were crap is heaped up in boxes and milk-crates all over the yard. I saw lots of rust and wood handles from the road so I walked up. I spent about an hour picking through everything and ended up with these items - each at a quarter (got it all for $5). 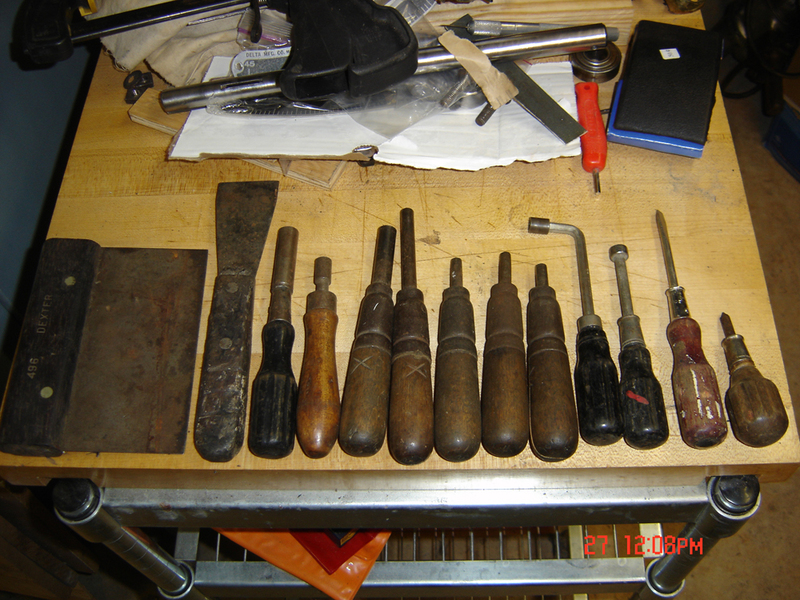 Most of those handles are old file handles that have tools shoved in them (the bigger set are all nut drivers). The Dexter body filler knife/spreader has a rosewood handle. In all a successful and very low-cost weekend of rust gathering.